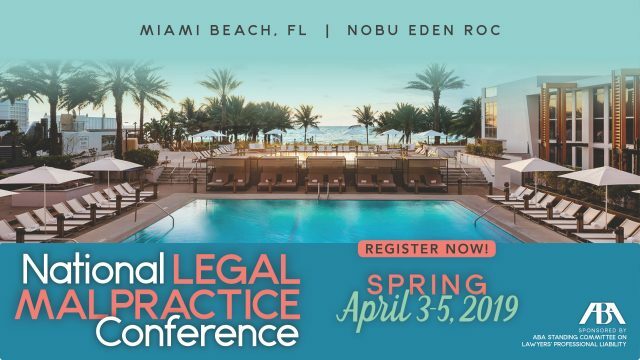 February 20, 2019 – Kenny Nachwalter is pleased to be a Platinum Sponsor of the American Bar Association (ABA) Spring 2019 National Legal Malpractice Conference, April 3-5, 2019 at the Nobu Eden Roc in Miami Beach, Florida. 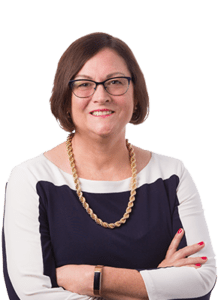 Shareholder Deborah S. Corbishley will be presenting at the Spring 2019 National Legal Malpractice Conference on Thursday, April 4, 2019. We have all seen too many of these claims. The toughest lawyers to defend are those suffering from some sort of mental impairment. The impairment may simply be a reaction to the stress of a malpractice claim, but it could also be the reason the claim exists. Impaired defendants can yield a catastrophic result at trial and may also make it impossible to resolve a case pretrial. This panel brings together experienced defense counsel, claims professionals, jury consultants, and mental health professionals to help you better handle your most difficult and dangerous claims. While impaired lawyers may seem to present insurmountable problems, our panel will show you how to: spot mental health issues early; utilize tried and true methods of ameliorating the issues impact on your case; help the lawyer make good case decisions and survive the claim’s pressures; and best enable the defendant lawyer to present well at deposition and at trial.